MOSCOW, January 23. /TASS/. 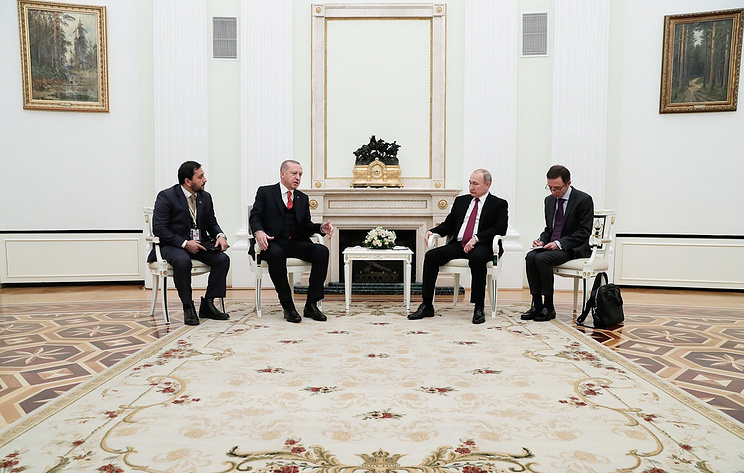 Russia and Turkey have no problems in the creation of a security zone in Syria, Turkish President Recep Tayiip Erdogan told a news conference upon results of Wednesday's talks with his Russian counterpart Vladimir Putin. "With Russia we have no problems in this issue, as the regions will be liberated from terrorists, as it was made in the wake of the Euphrates Shiled and Olive Branch operations," he said. "Turkey will continue strengthening cooperation with Russia in Syria. 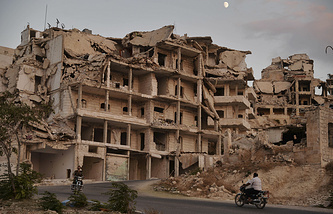 Russia and Turkey will continue joint fight against terrorism in Idlib in order to guarantee security for Syrian population," Turkey's leader has vowed. The US force’s withdrawal from Syria will become a positive step and will stabilize the situation in the country’s northeast, Vladimir Putin said after the talks. "[We] spoke about how the US leadership’s intentions to pull the US troops out of Syria’s northeastern regions would affect the unfolding situation in Syria," Putin said. "In case those steps, those plans are really implemented, it will become a positive step and will help stabilize the situation in that troubled area of the Syrian state which is currently controlled by Kurdish units." Russia supports a dialogue of Damascus with representatives of the Kurds within the context of a declared US withdrawal from Syria, Vladimir Putin stressed. "This dialogue will contribute to consolidation of the Syrian society and national reconciliation, will be useful not only for Syria, but for all neighboring states as well," Putin said.